For Hi-Res music replay, the audio source must be Hi-Res and the DAC which converts digital to analog audio must support Hi-Res output. 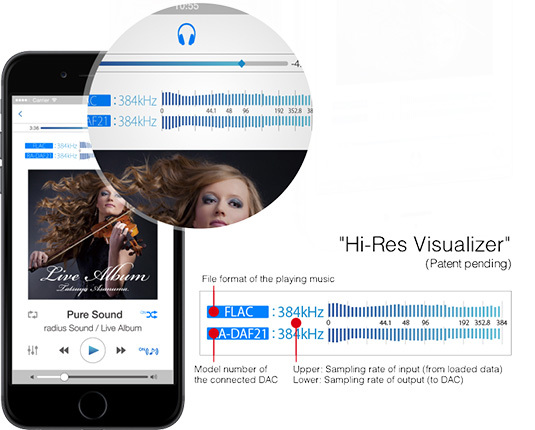 By using the visualizer of NePLAYER displays both sampling rate of the original audio data and the data which output to the DAC by its visualizer. You can visually confirm whether the original audio source is reproduced and the DAC feature is fully performed. Other music player applications display both Hi-Res and ordinary audio sources mixed. It makes users cannot select Hi-Res file rasily. 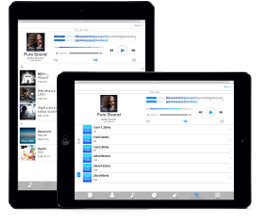 NePLAYER allows users to sort audio files by format or sampling rate, users can quickly find and play the desired Hi-Res audio files. 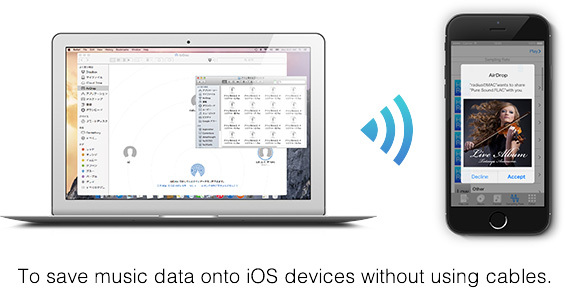 Audio sources can be saved wirelessly from a Mac computer which supports AirDrop connection to iOS devices. Without using iTunes, just drag and drop selected audio files onto the icon of the iOS device which connects to Mac wirelessly, you can save them to iPhone or iPad. * See Apple site for AirDrop supported models. 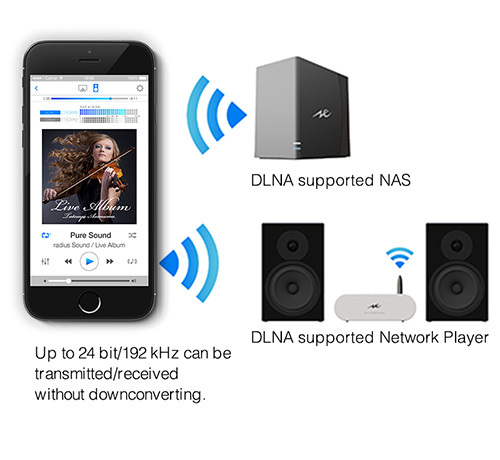 Using a DLNA supported network music player and NAS, you can wirelessly replay and remotely control Hi-Res audio sources. 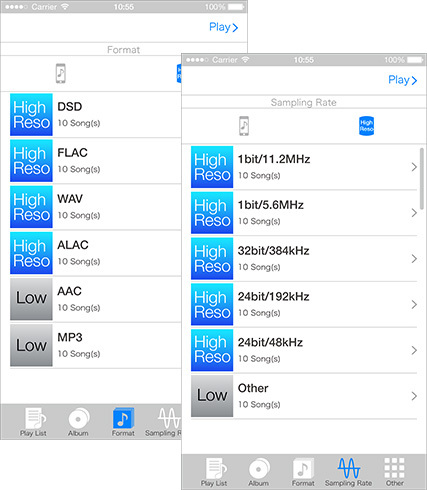 Between iPhone, network music player and NAS, maximum of 24bit/192kHz data can be transmitted without downconverting. When wirelessly transmitting music data, NePLAYER can maintain the audio quality, which would be downgraded by AirPlay or Bluetooth. 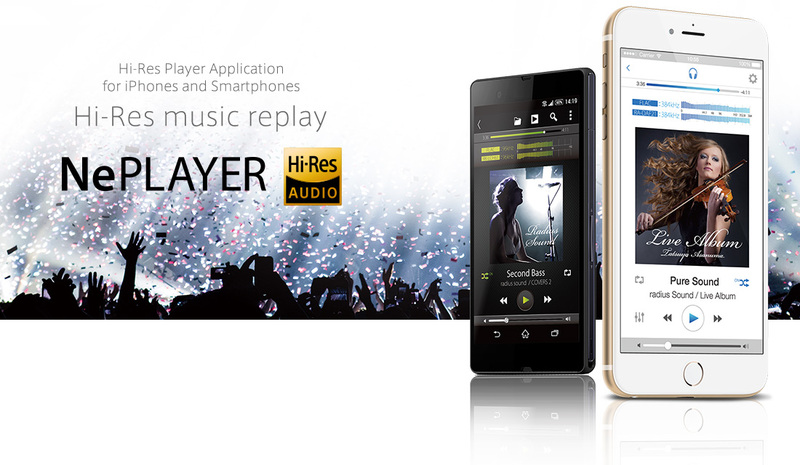 * NePLAYER supports data transferring up to 24bit/192kHz of Hi-Res audio files. However, the connection may be interrupted depends on the network communication speed, environment condition, audio format and the performance of connecting equipment. Please refer to the list of models for which operation has been confirmed. * The transmission of files from NAS to NePLAYER/network music player is not a function of saving files. NePLAYER offers a "Preset Equalizer" feature for users who want to change the sound qualities very easily; a "Graphic Equalizer" for those who want to set the sound quality in detail; and a "Spline Equalizer" for audio picky users. 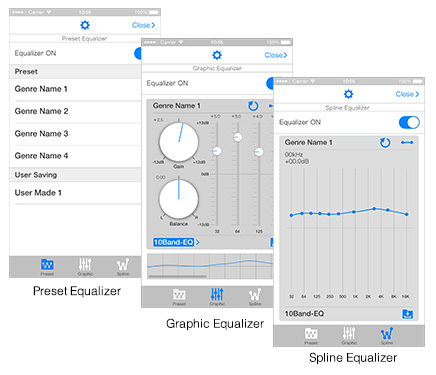 With these three equalizer setting methods, NePLAYER allows users to set their own preferred sound quality freely. With the Up-Sampling function, NePLAYER can output non-Hi-Res audio sources to higher sound quality. 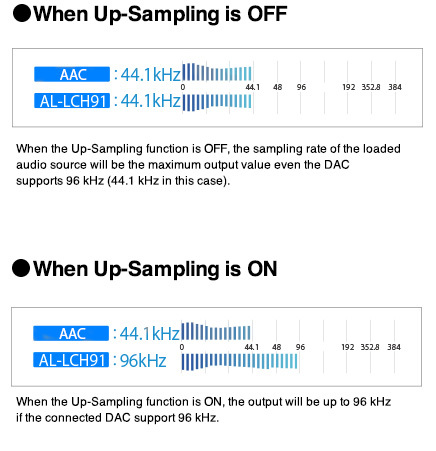 Depends on the DAC specification, sampling frequency of the audio sources can be upgraded. For iPhone alone, 48kHz output is limited. DSD is one of audio digitalize method and is closer to analog audio than PCM. NePLAYER supports native DSD playback (DoP) of 2.8 MHz and 5.6 MHz and PCM conversion playback of 11.2 MHz. PCM conversion playback supports up to 352.8 kHz. The iOS version also supports iPad. The UI of NePLAYER has been well designed for large iPad screen. You can select songs while viewing numbers of song titles. Furthermore, you can check replaying song information during selecting songs. 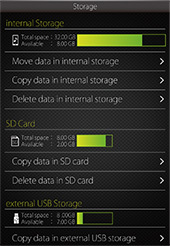 With the Android version, the SD card or external storage device via USB connected, NePLAYER automatically load music data then displays them in respective libraries. Files can be copied and deleted within the app, thus you can enjoy music without worrying about running out of storage space. *1 DSD 11.2MHz supports PCM playback. DSD 5.6MHz and DSD 2.8MHz support DoP and PCM playback. DRM-protected songs cannot be replayed. *No Hi-Res audio sources are installed in the application. Please obtain separately. *The Up-Sampling function does not convert non-Hi-Res sound sources to Hi-Res. *Function is not guaranteed on models other than those above listed. Please confirm supported models carefully. *2 Supported format may very due to smartphone performance differences. *3 It is not supported all versions of the described OS. *4 Please contact the manufacturer about the information of your smartphone. Copyright 2018 radius Co., Ltd. All rights reserved.